The President shall appoint a nominating committee, consisting of three (3) active members in good standing, one of whom the President shall designate as chairman. The nominating committee members shall not be designated or anticipated applicants for elective office. The nominating committee shall canvass the membership for prospective candidates for office. All candidates must be active members in good standing, and must give assurance that, if elected, they will fully perform the duties of their office. 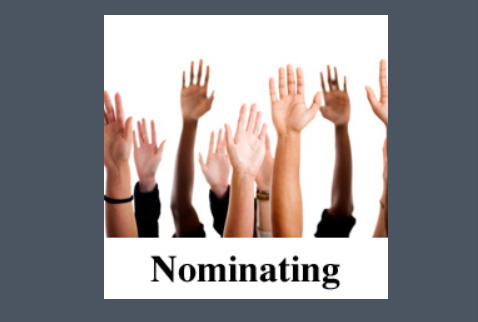 At the November meeting, the nominating committee shall announce its’ choice of nominees for Officers of the Chapter. There may also be nominations from the floor provided that all candidates must be nominated by an active member in good standing. A general election shall then take place (in accordance with the following Section c.) and, upon completion of the election, the nominating committee shall be automatically dissolved. The nominating committee shall distribute ballots to the general membership present for voting. The committee shall then collect the marked ballots, proceed with the count, and announce the winners. If there are no contestants for office, the President may direct the Secretary to cast one ballot for the entire slate of Officers.